​UK retailer Argos have been labelled “racist” after selling Asian and black dolls for £10 less than their white dolls. The British catalogue retailer sells children’s dolls, made by a French company called Corolle, on their website. The Caucasian ‘Maria’ doll was being sold for £34.99, while the black ‘Namia’ doll and the Asian ‘Yang’ doll were sold for £24.99. After discovering the price differentiation online when shopping for her two-year-old daughter, a furious mother-of-two expressed her anger to the Sun Newspaper. The mother, Lisa O’Reilly, 32, from Lincolnshire thought it was outrageous. “It’s unacceptable for children to think white is better or more desirable,” she said. “There’s enough prejudice in the world already without battling against racist toys,” she added. “Simple demand issues,” a Twitter user tweeted when debating on the topic. @JAYKASTHD@William_Njo i think when it comes down to it its simply business, if one doll sells alot more, make more money from it. @William_Njo white dolls will be greater than that of an asian or black doll. “This is blatant racism but no one wants to admit it,” a Twitter user said. 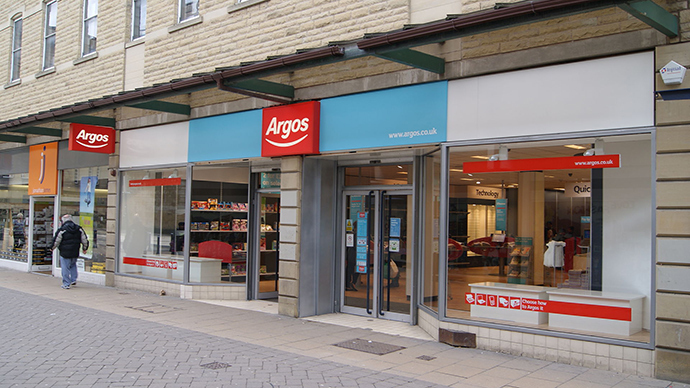 An Argos spokeswoman said the catalogue retailer “strongly refuted” any suggestion of discrimination. “We apologize for any confusion caused,” she said.